Tehachapi Renewable Transmission Project Habitat Restoration and Revegetation Program - Noreas Inc. 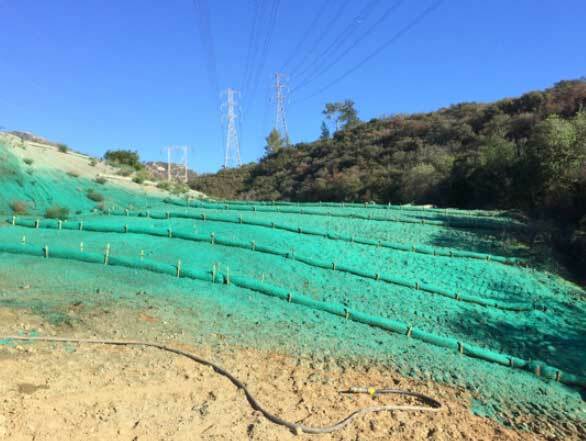 Since 2014, NOREAS has been supporting Southern California Edison (SCE) implement the Tehachapi Renewable Transmission Project (TRTP) Habitat Restoration and Revegetation Program. NOREAS is providing technical oversight and assisting with native habitat restoration activities that are being performed by SCE’s Restoration Contractors along approximately 173 miles of electric transmission lines through southern Kern County, Los Angeles County (including the Angeles National Forest, or ANF), and the southwestern portion of San Bernardino County, California. NOREAS provides specialists to address all facets of wildlife biology, restoration ecology, botany, compliance monitoring, and regulatory permitting services as TRTP crosses through a diverse suite of habitats and land cover types. Segments 6 and 11 are located within the Angeles National Forest and on private lands; while Segments 7 and 8 are located on federal and private lands. NOREAS is supporting SCE restore areas that have been disturbed by Project construction, including temporary disturbance areas around tower construction sites, laydown/staging areas, temporary access areas, and spur roads. Cuttings and container stock are being used to restore disturbed areas as well. Additionally, native plant palettes that use local propagules (seeds) have been created for the Project. As a result of the size of the project and the requirements for local propagule sources, SCE initiated seed collection in 2010; and seed collection has continued annually since then. NOREAS is also managing over $1,000,000.00 in SCE nursery contracts to provide propagation services and produce the required container plants for this restoration effort.